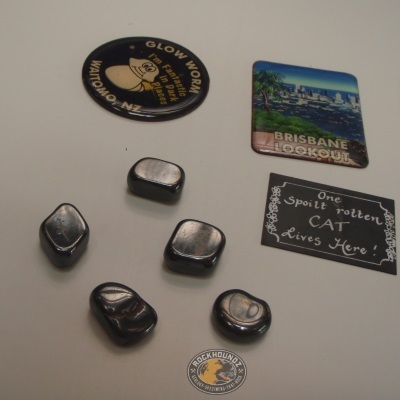 Often sold as natural magnetic hematite but don’t be fooled. Hematite isn’t able to be magnetised, but ferrite can be. 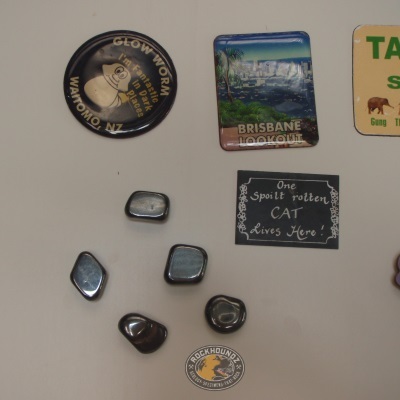 These stones are magnetic, exhibit polarity, they’re pretty and can be used as a fridge magnet. 5 pieces per packet.